AF-PL is a system with a base unit that automaticly dispenses AF-PL liquid cleaner and compressed air into refillable spray cans. 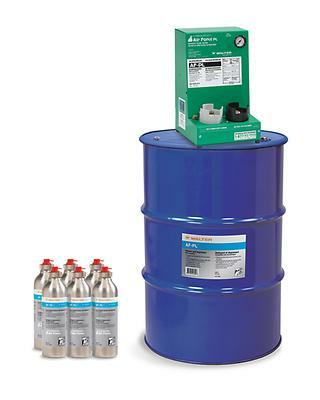 Save money by buying your cleaner in bulk and reduce costs associated with the disposal of aerosol cans, all while reducing your environmental impact. - The kit includes the use of an Air Force PL station.